Washing machines make doing laundry a breeze, but they can be a real hassle when they stop working properly. One of the most common problems that we hear about is a washer not filling with water. This can happen for a variety of reasons. We’ve put together a list of the most common reasons that your washer won’t fill properly to help you diagnose what’s going on with your unit. You should be able to see hoses coming out of the back of your washer that are connected to faucets for both hot and cold water. Before doing anything else, verify that these faucets are turned on, and that the hoses to the unit aren’t kinked. Sometimes that’s all it is, and it can be as easy as turning these faucets on or straightening out the hose. The hot and cold water hoses that lead to your machine should have a filter screen to catch any large particles that might be coming through the lines. Sometimes these screens can get clogged, which keeps water from flowing properly. This is probably the most common reason for a washer not filling with water. Luckily, it’s a pretty easy fix! All you need to do is turn off the water to the unit, unscrew the hoses from the machine and you should be able to see the filter screen on the back of the unit where the hoses attach. Remove any debris that you find on the screen, reattach the hoses, and turn the water back on. Hopefully, that will allow your washer to start filling normally again. Water inlet valves are the part of the washing machine that tell it to start or stop filling. Sometimes this valve will malfunction and not tell the machine to fill. Changing out this part is a fairly easy fix, but usually requires a repair specialist. Modern washing machines have safety switches that prevent the washer from running while the lid is open. Sometimes these switches get stuck in the open position and make the washer think that the lid is open even when it isn’t. This can create a washer not filling with water issue. This should also be an easy fix for a repair specialist. Modern washers also feature a sensor that tells them to stop filling when the water reaches a certain level. These sensors can malfunction and tell the washing machine that the water level is too high, even when there’s nothing in the unit. This will keep the unit from filling until the sensor is fixed or replaced. This will also require a repair specialist to take a look at your unit. In most cases, a washing machine that isn’t filling comes down to these easily solved problems. 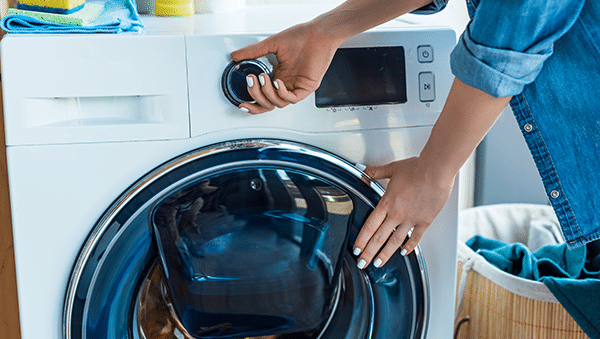 Since washers are specialized equipment, most of these fixes will require you to call your local repair specialist to service your unit, but in some cases, it can be easily fixed on your own. If you try each of these suggestions, and your washer won’t fill with water still, call an appliance repair professional, like Cody’s Appliance Repair.